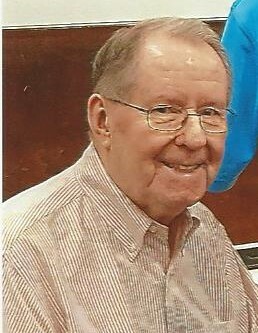 John F. “Jack” Harrington, 83, of Quincy, a respected educator and long time department head at Quincy High School, died August 12, 2018. Born and raised in Dorchester, he was the third of four children born to the late George A. and Mary E. (Curley) Harrington. Jack graduated Boston Latin School and received his undergraduate and Masters from Boston College, where he was active in the ROTC Program and remained a strong supporter of his alma mater. He joined the US Army and served his country with honor during the Korean war as an Army Intelligence Officer. He was discharged with the rank: 1st Lieutenant. As a student of History and with a love of learning, teaching was natural choice for the man so many of Quincy’s sons and daughters would come to know as “Mr. Harrington”. He served as Coordinator and Dept. Head for the Social Studies program at Quincy High for many, many years before retiring in 1997. Jack was active for several years with the Quincy Retired Teachers Assn, was a Consultant and benefactor to the Howard County (Md) Conservancy, was a former member and past Exalted Ruler of the Braintree Lodge of Elks, and served as a past Chairman and member of the Sagamore Place Condominium Board of Trustees. He was the brother of H. Claire Harrington of Kittery ME, Janet M. Harrington of Quincy and the late James Harrington. Godfather of Phillip A. Johnnene. He is also survived by cousins, extended family, and many dear friends including Rev. Fr. Robert Johnnene, OFM.